I assume this is a red tailed but my bird ID record is deplorable. Awesome shot! I love raptors! Paul, an excellent photo of a great raptor. 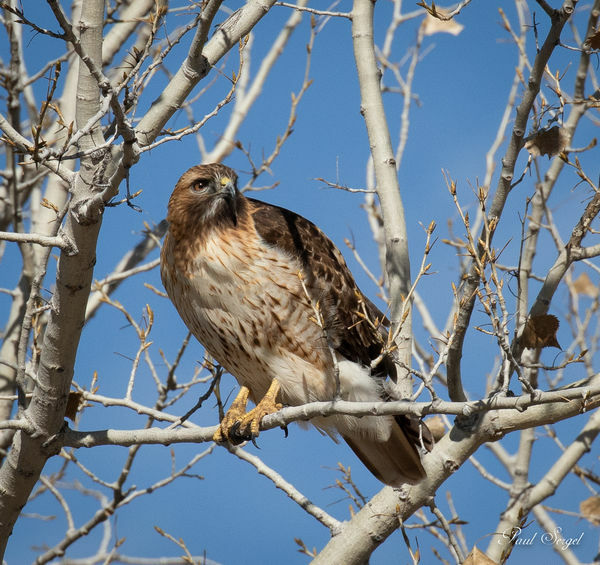 Not sure if it is a Redtail or Red-Shouldered, but that does not detract from the quality of the photo. Excellent shot, sorry can't help on the ID.